The Jeep Grand Cherokee is the automaker's flagship SUV priced from Rs. 75.15 lakh, and joins a host of exotics in Farhan Akhtar's garage. 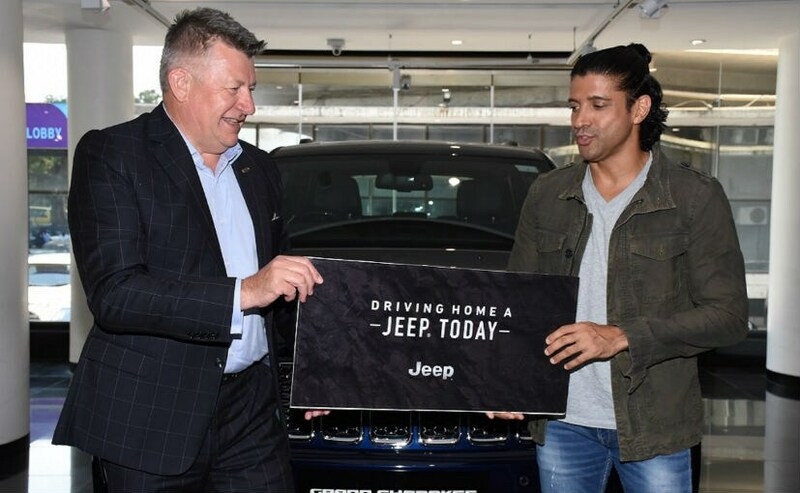 Director, producer, actor, musician, poet and much more, Farhan Akhtar dons many hats for his different commitments and the actor now has a Jeep Grand Cherokee SUV to carry all of that along. 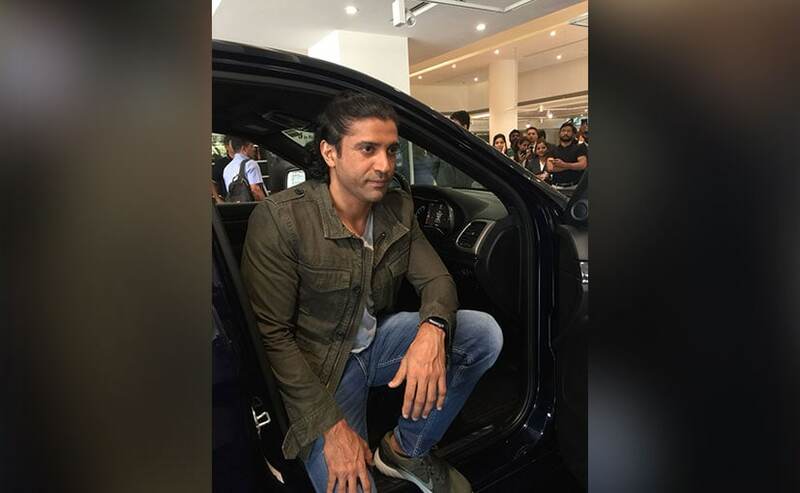 The Dil Chahta Hai director recently took the delivery of the luxury SUV recently. 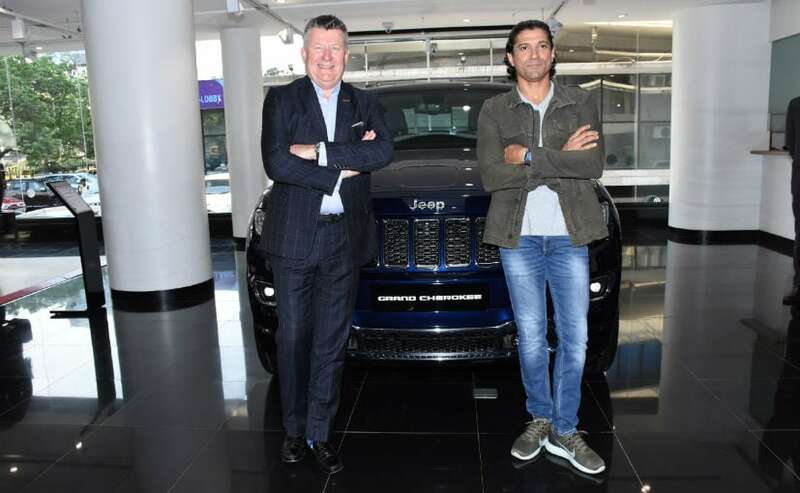 Fiat Chrysler Automobiles (FCA) India - President and Managing Director, Kevin Flynn handed over the SUV to Akhtar at a dealership in Mumbai. The brand has been known to partner with celebrities for its offerings and has a host of celebrities as customers. The Jeep Grand Cherokee is the company's flagship offering in India and takes on the Mercedes-Benz GLS, Audi Q7 and the likes. Powering the seven-seater SUV is a 3.0-litre turbo diesel engine that makes 240 bhp and 570 Nm of torque. The automaker also introduced a petrol version in July last year introducing the 3.6-litre V6 Pentastar petrol engine that churns out 286 bhp and 347 Nm of peak torque. Both engines come paired to an 8-speed automatic transmission. 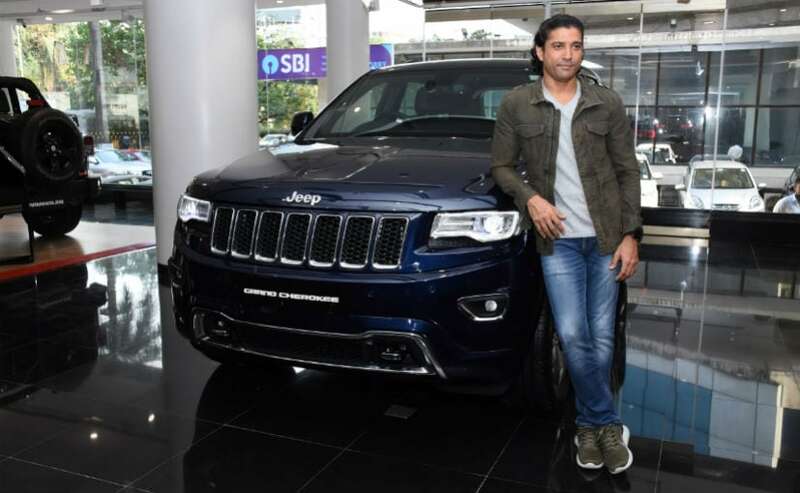 It's not clear as to which engine rests under Farhan Akhtar's Grand Cherokee. The Jeep Grand Cherokee is loaded on tech and comes with a host of features on offer. The seven-seater SUV gets suede premium headliner, acoustic windshield and full side glass, Auto Noise Cancellation, premium Berber carpet mats and a Harmon/Kardon 19-speaker, 825 amp music system with three sub-woofers. The SUV is loaded on safety tech as well and gets Blind Spot Detection, Forward Collision Warning, Adaptive Cruise Control, Lane Departure Warning and Parallel and Perpendicular Parking Assist. The SUV gets LED fog lamps as standard and rides on 19-inch or 20-inch alloy wheels. With All-Wheel Drive capability, the Grand Cherokee is luxurious and can take on the rough terrain with ease. Jeep India has a long list of celebrities who are also customers of the brand. Actor Saif Ali Khan took keys of his mighty Jeep Grand Cherokee SRT last year, while actors Jacqueline Fernandez and Akshay Kumar recently took deliveries of their respective Jeep Compass SUVs.